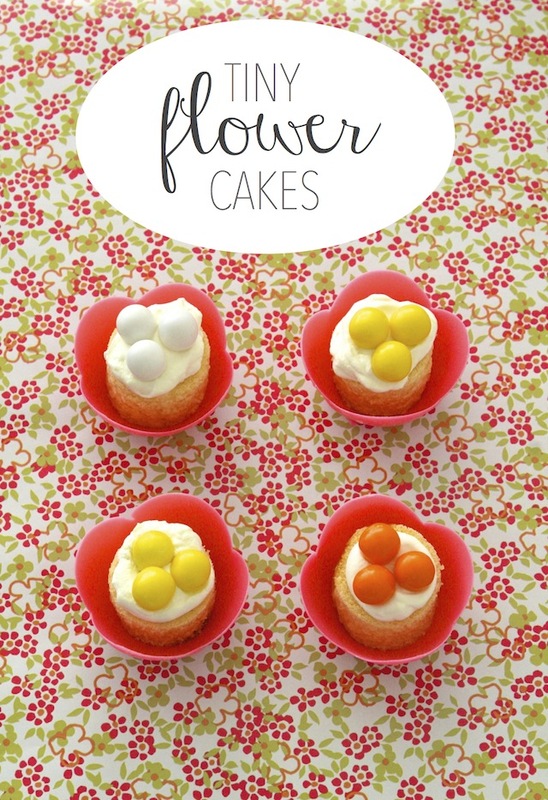 Tiny Flower Cakes—5 Minute Birthday Cake Idea That's Chic & Portable! / Hey, EEP! Tiny Flower Cakes—5 Minute Birthday Cake Idea That's Chic & Portable! I try my best to remember everyone's birthdays but sometimes life happens and you forget! If you're quick on your feet, you can usually pull a last-minute treat together without the birthday boy or girl knowing. That's why I always keep a list of quickie treat ideas handy—shh! 1. 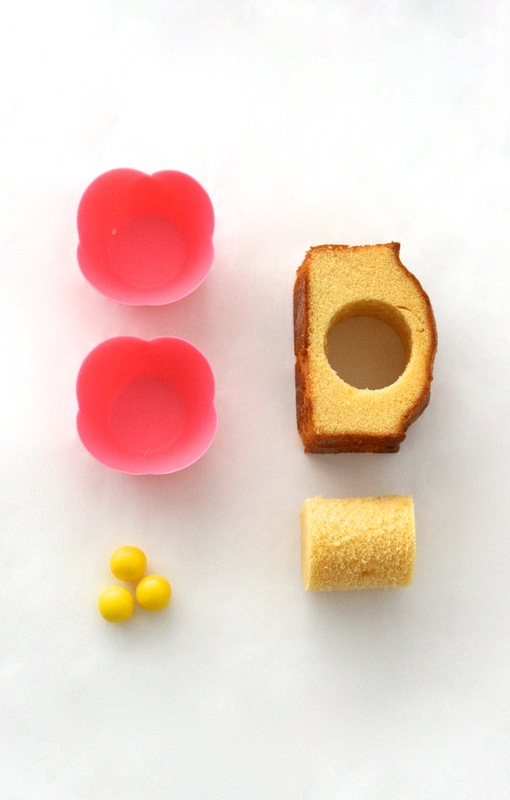 Slice cake into 1 1/2 inch thick slices. 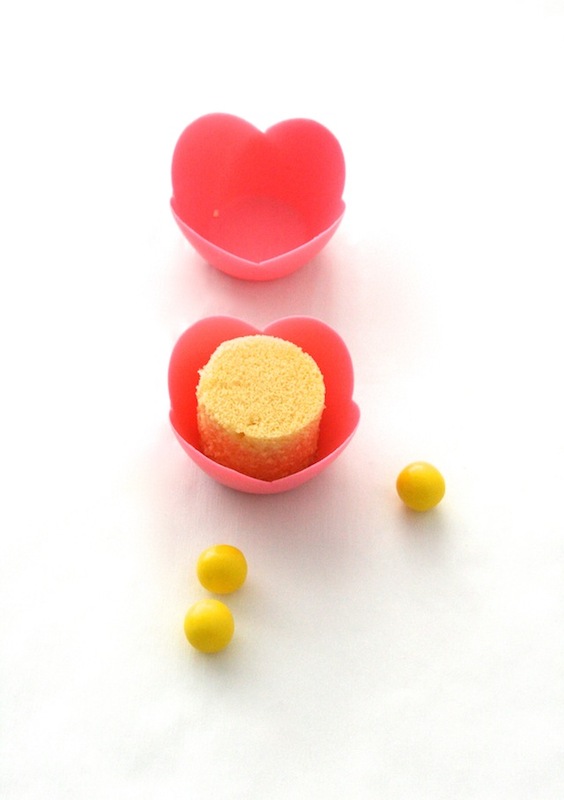 Use a small circle cookie cutter to cut into rounds. Dip one side of each round into the chambourd or grenadine. 2. Put 1 cake round, dipped-side down, into each chocolate cup. 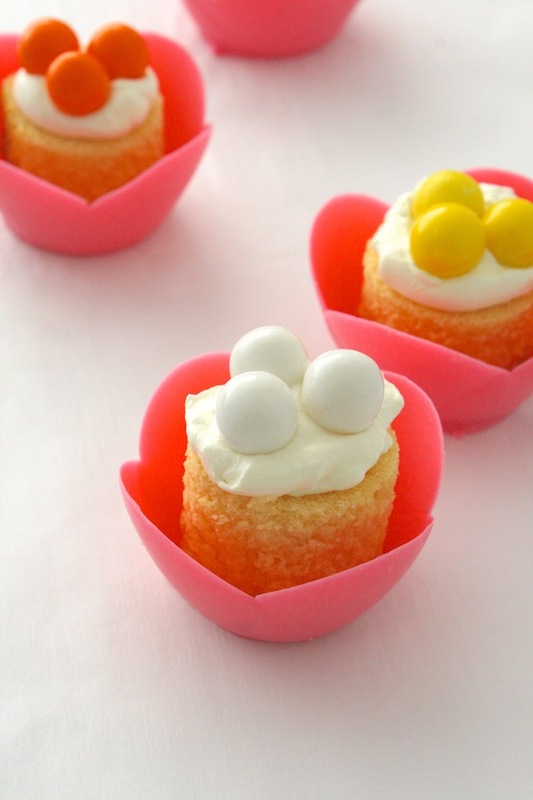 Top each with whipped cream and 3 gum balls to make a flower shape.